I don’t know about you, but I tend to be on my computer a lot in my bed or on my couch, usually in a place where there is no table, because that’s not as comfy! Every time we would sit down on our computers I would ask Mr. LMB to grab me a book or something to set my laptop on. Well, I guess he got sick of me asking that because he built me my very own laptop tray that is like a little portable desk. He’s the sweetest! 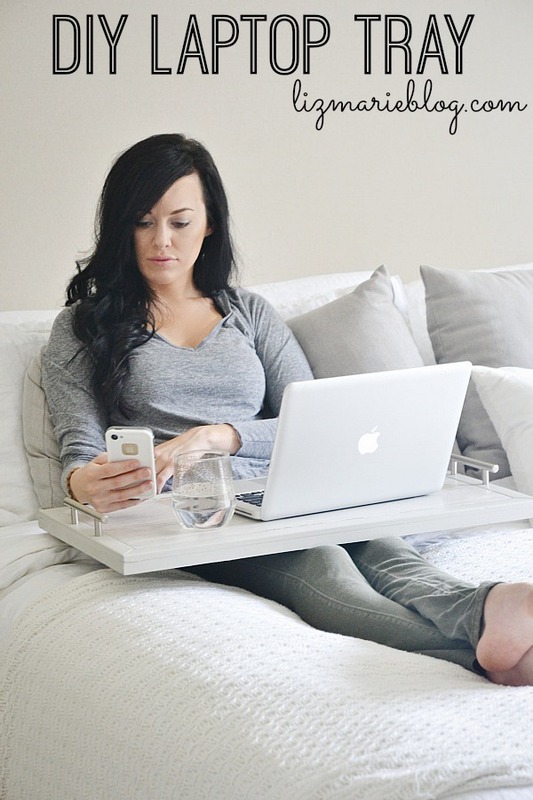 No more over-heating laptop burning my legs, a place to set my phone, notes, gadgets, & more? One of the best “DIY gifts” ever! Oh, & did I mention it coordinates very well with our decor? Bonus! 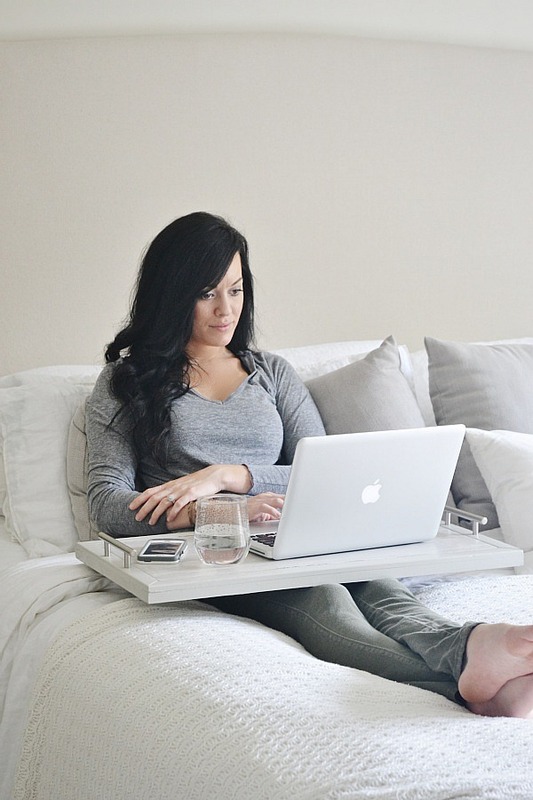 You can head on over to Mr. LMB’s blog, craftsmandrive.com, to see the full tutorial on how to make your own DIY laptop tray. What do you guys think of the tray? Do you have the same issues as me with your laptop overheating and just annoying you in general? I can’t be the only one. Leave a comment below, find me on facebook, or chat with me on Instagram. Anyways, I hope you guys love this DIY & head on over to Craftsman Drive to see how he made it. Generally I don’t read article on blogs, but I would like to say that this write-up very compelled me to take a look at and do it! Your writing style has been amazed me. Thanks, quite great post.